The red circle shows where the murder took place. But he can not be seen anymore after the cleaning car has passed. There are only two seconds between the moment when Nemtsov disappears behind the cleaning car and the moment when we see the killer start to run towards the flee car! It means he must have been an EXCELLENT gunner and he must have had an automatic rifle (with silencer?) to be able to fire 6 shots (of which four hit; one in the head and three in the body). The video seems to be real, because the location EXACTLY fits the known murder spot. It does not seem likely that such a video could have been prepared in advance. The murder EXACTLY takes place when the cleaning car passes by. It is absolutely unclear where the assassin comes from. Nobody can be seen walking towards or behind Nemtsov and his companion. Neither can somebody be seen walking to that specific spot to wait for them. Just after the murder he can be seen running away from the back of the cleaning car. He must have traveled WITH the cleaning car. Therefore it seems very likely that the cleaning car is part of the operation. Since Nemtsov was shot from behind and the cleaning car already catched up with them when the murder took place, it does not seem likely that the assassin traveled on the passenger seat next to the driver. He had to open and close the door and that may have drawn their attention. It seems likely that he had traveled on the back of the car. He could easily jump on and off and could also see if there were no other people following them. Using a cleaning car gives a lot of advantage: you can drive slowly, draw no attention, wait if necessary and thus pick EXACTLY the right moment (with no other people nearby), you can hide the weapon in the back and the car partially blocks view of the scene. The cleaning car first can be seen at 23:28:50. The murder took place at 23:31:15. That is some two and a half minutes. It means the command to start the operation had already been given some three minutes before the murder for that car to arrive at the right time. It does seem like the assassin had been following the couple already before he jumped on the car. It means he could have IDed them long before the killing moment and followed them on a safe distance towards the bridge. By jumping on the cleaning car, he could catch up with them without running. All the flee car had to do was to wait until the cleaning car got on the bridge, see the hit man jump on and then get to follow them from a distance to slowly catch up. Furthermore: that flee car is NOT white... (as the Moscow police suggested). Totally weird is that there is no traffic at all behind them. Such a moment is very hard to pick, especially when you can see that there are many cars before the assassination moment. Right after the car picks up the assassin, new cars start arriving again. This indicates there had been some 'orchestration' here too. There are no traffic lights at the roads leading to this location, but a stopping car, crossing people and things like that may easily halt the traffic long enough for 10-20 seconds. Why would the cleaning car stop and the driver talk to the woman? It is VERY convenient to immediately have somebody present at the scene. In any such given high stress situation it always takes a lot of time for victims to realize what had happened. Often the incident has to be reconstructed from fragments of memories. It means right after the incident they are most susceptible for disinfo. We see this happening in Ukraine all the time when civilians get bombed by Russian shells... next thing is that Russian journos arrive and explain them how and that 'Ukraine did it'. Also by being present immediately they can quickly find out what she had actually seen or not. let the media spin all kind of nonsense stories. So the answer is: this was a well planned Kremlin murder. Who gave the order? How do I know, but at least Putin must have known about it. 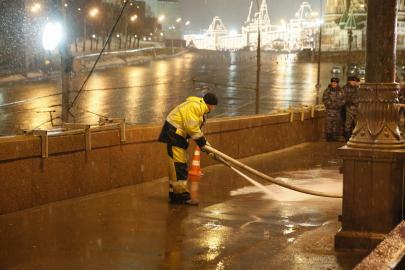 Nobody will be allowed to execute a murder like this so close to the Kremlin without Putin approving it. But for the rest it does not reveal anything really new. But it is a confirmation that these videos are real and not fabricated. fear of NATO expansion into Ukraine, which will give Russia an extra 2.000 kms of border with NATO. The imperial inspirations of Vladimir Putin are driven by the internal Russian forces, which are worth a separate analysis (but not given here). As of the Russian-speaking compatriots, the realities are somewhat different. The real divide in Ukraine is between people who associate themselves with Ukrainian historic and cultural tradition, and the ones who associate with Russian or Soviet one, regardless of the spoken language . Concerns about NATO expansion also has a different background. Russia already has a common border with NATO, in the Baltic states, where NATO is 200-300 kilometers away from vital Russian centers, and at the far north. We believe that the real source of the Russia's concern is that while it has sufficient resources to effectively counter the military threat from the border with the Baltic states and Norway, it has no economic and military resources to adequately address such a threat if it will be coming from an additional 2.000 kms long common border with Ukraine. Consider that Russia has 60.900 kms of border to protect, a 144 million population and $2,6 trillion GDP. Maintaining the armed forces which can guarantee national security in such situation is beyond Russia's demographic and economic capabilities, unless it surrounds itself with buffer states like Belarus or Kazakhstan. Russian conventional armed forces are also insufficient to serve the needs of its expansion using military force. At the height of the confrontation in Ukraine Russia had to pull troops from the places as remote as Norwegian border of Novosibirsk to form the strike force, and still could not expect for “blitzkrieg” against Ukraine. This military aspect of the balance of power is almost completely overlooked by the expert community, which tends to believe that Russia cannot be defeated on the ground. Another myth which needs to be addressed is the story of critical dependence of Ukraine on the Russian market. Russia accounts for 29,6% of Ukraine's external trade, including 27,9% of export, and 31,1% of import by Ukraine. From the standpoint of the trade balance (according to Russian Ministry of Economic Development), 65% of Russian export to Ukraine are mineral resources, predominantly natural gas; 11,3% are machinery, tools, and transportation vehicles, 8% are chemicals, and 6,9% are products of metallurgy. Ukrainian export to Russia includes: machinery – 39,2%, products of metallurgy 21,3%, food products – 11,4%, chemicals 10,8%, and mineral products 7,6%. Ukraine has negative trade balance with Russia because of the import of natural gas, but still remains the principal “tool shop” for Russian industry, including its military sector. Russia still remains supplier of raw materials and fossil fuels for Ukraine, as it was during the Soviet era. If the gas imports is eliminated from the trade balance between two countries, Ukraine becomes big net exporter to Russia. Meanwhile a successful experiment of operation of the Ukrainian trunk and distribution gas pipelines, which Ukraine was forced to do during the 2009 winter demonstrated that it is possible in principle for the Ukrainian economy to survive without importing natural gas from Russia. After 2009 Europe developed a series of gas pipeline interconnectors, which allow to maneuver natural gas supply inside EU, and gradually switch from Russian gas supply to receiving the necessary amounts of natural gas from Qatar, US, Norway, and UK. This system is connected to Ukrainian pipelines. As the conflict in the Eastern Ukraine unfolded Russia terminated gas supply to Ukraine (July 2014). Ukraine managed to negotiate replacement of 60% of Russian natural gas imports by the gas supply from the western direction already, without putting Russian gas supply to Europe at any risk. This certainly could be done earlier, but gas trade between two countries was the most corrupt area of trade relations between Russia and Ukraine, with corruption revenues allegedly traveling to the very top of political establishment in Kyiv and in Moscow. In this regard the gas trade between Russia and Ukraine is a showcase of the devastating impact of corruption on the economy, with machinery (including military) products being the lead exported item. Another factor which is overlooked as well is Russia's dependence on Ukraine in the fields of industry and selected mineral resources. If these dependencies would not be resolved, the Russian Empire Project becomes unrealistic. After the disappearance of the USSR, the interdependence between Ukraine and Russia was very deep. In November 1993 the Russian Federation decided to break its dependence on Ukraine, first of all in the military-industrial complex. A correspondent Classified Decree was issued by Russian President Borys Yeltsyn, and echoed by the special government program of the Russian Federation. Following these decisions Russia gradually replaced all Ukrainian components which it could replace with Russian-made parts. Then there were ups and downs in this program, but now, 21 years later, it is safe to say that, particularly in the military field, Russia buys from Ukraine only the components which it cannot manufacture in Russia. Nevertheless Ukrainian machinery still is the leading article of Ukrainian export to Russia, which amounts for over $300 mln per year; banning the machinery import from Ukraine will inflict heavy damage on Russia, so Russian threats to do so are mostly a bluff. From another hand, if Ukrainian companies will find buyers for their production outside Russia, and severe ties with (which is usually difficult) the Russian market, this will be a major blow for Russian defense industry. At this time Russian defense industry reached the point when it cannot replace Ukrainian partners at affordable cost and in a reasonable time. Under such conditions during the 1st half of 2013 Russia came to conclusion that the optimal strategy would be to buy the Ukrainian enterprises which it cannot replace. On December 2-3, 2013, at the starting days of Ukrainian Revolution of Dignity, Russian Vice Prime Minister Dmitry Rogozin embarked on a “shopping tour”, visiting several enterprises of Ukrainian East and South. The Rogozin's tour did not yield any result for two reasons: Russia wanted to get control of the enterprises which are banned from privatization by Ukrainian law, and also because of the change of the regime which followed in three months. After the Yanukovych regime collapsed, Russia came up with the concept of Novorossiya, wrapped up in artificial ideological justifications of 'common language' and 'historical tradition'. In reality Novorossiya (Crimea, Donetsk, Lugansk, Zaporizhya, Mykolaiv, Kherson, and Odessa regions) is the collection of the regions that house the most advanced Ukrainian industry assets, on which Russia depends. For Russia the most effective way to address these problems now, is to establish its control over entire Ukraine, or at least over its most critical parts. The following sections will provide the necessary details of Russia's dependence. Russian conventional forces are deficient numbers- and technology-wise. 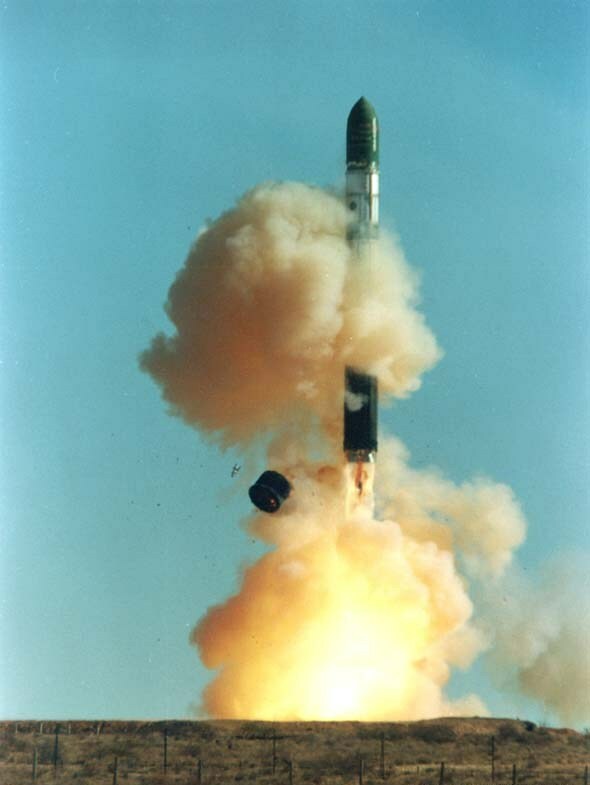 At the same time Russian WMD are still massive; as a matter of fact Russia is the only state, which has nuclear deterrent capabilities that are compatible to the US. To great extent this is due to the Russian (built in Ukraine and serviced by Ukrainian engineers) SS-18 missiles, which together can deliver 680 nuclear warheads to any part of the World, and overcome most of the existing missile defense systems. These missiles are far beyond the initial manufacturer's warranty time, but so far the annual verification launches show no serious problems. Nevertheless the first group of ten missiles is due for retirement in 2016, and remaining 58 will have to go out of service during 2021-2024. Russia builds new solid propellant missiles SS-27 and SS-N-32, but it has to deal with the need to replace the earlier built SS-25 and SS-27, which have a warrantied service term of only 12 years. In order to replace the phased out SS-19, and SS-18 which are due for retirement during the next 10 years Russia has to build circa 250 new SS-27 in ten years, not including the replacement of the aging SS-25. The SLBM component of the Russian nuclear triad relies on Delta-IV in the north, and Delta-III (in Pacific) submarines. Pacific submarines are due for retirement, while the gap remains to be closed. The emergence of the gap in the Russian navy component is in part due to the early phasing out of the giant Project 941 (Typhoon) submarines. Scrapping these submarines was in part due to Russia's inability to manufacture SS-N-20 Sturgeon missiles, which used the Ukrainian-made first stage. The construction of the new generation of the submarines is going on schedule, but new SS-N-32 missile for them is not ready for deployment. When it will be ready, Russia will have to build 48 nuclear missiles at impossible schedule for already built vessels. 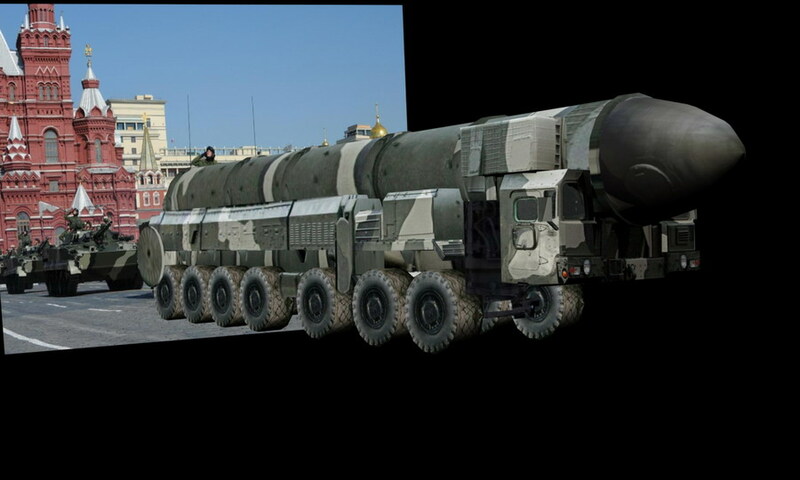 Meanwhile SS-N-32 and SS-27 are made by the same Votkinsk factory, which also builds Iskander (SS-26) missiles. Building this number of missiles is beyond its capabilities; expanding these capabilities faces quality control, financial, and human resources challenges. Under such conditions Russia accepted the idea of building the new heavy ballistic missile, which was proposed by NPO Makeyev in 2002. The project is funded since 2008, but it did not even come to first tests by now. The set target of acceptance of the new missile in service was 2016-2018, but it is already clear that it will not be met. This means that in order to maintain the status of a nuclear superpower Russia must turn to using the capabilities of Ukrainian Youzhmash rocket factory, which manufactured the SS-18. It is not a surprise that Russia reacted extremely nervously at the April 2014 rumors about the Ukrainian plans to sell technical documentation for SS-18. For the sensitive matter as it is, Russia needs full and reliable control of the Youzhmash factory, and of Dnipropetrovsk and Kharkiv regions (where the production is based). Without such control in ten years Russia will have lost its parity to the US in the WMD field. Furthermore, Russia's plans of production of the new nuclear-capable cruise missiles Kh-101/102 also depends on Russia's ability to develop the alternative to Ukrainian-built engine, or to get the Ukrainian one. These engines are built in Zaporizhya by Ukrainian Motor-Sich – Ivchenko company. Besides being the key component of the Russian nuclear deterrent, SS-18 missiles are also used commercially under the name Dnepr, jointly by Russia and Ukraine. Because of the optimal combination of performance, price, and reliability it became the principal workhorse for the booming small satellite industry. Ukrainian Youzhnoye developed a multi-restart thrust engine for the rocket, and provides the 3rd stage of the rocket as well as the payload integration. Without Ukrainian participation Dnepr dominance at the small satellite market will be lost, delivering also a blow to the small satellite industry World-wide. 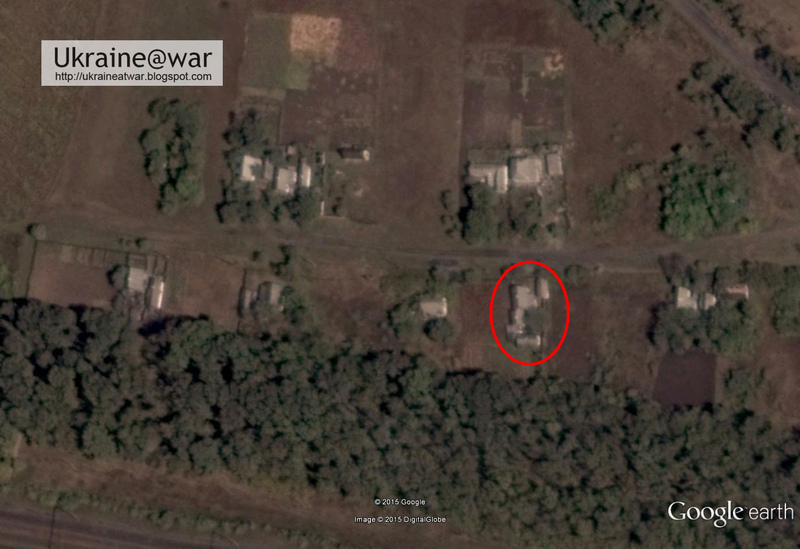 There is also a “negative” component for Russia in the absence of control over Youzhnoye. One can remember that at the beginning of the Ukrainian crisis, after the first round of the Western sanctions was rolled out, Russian Vice Prime Minister Dmitry Rogozin jokingly stated that US will now have to use a trampoline for sending supply to the International Space Station (ISS). In a twisted way he was right: on July 13th 2014 the commercial cargo was delivered to ISS by the US rocked Antares-120, which used a Ukrainian-made “trampoline” - the 1st stage for Antares is made in Ukraine. The guidance control systems (GCS) for Russian workhorse space launch vehicle Soyuz, and main commercial space bread-winner launch vehicle Proton are manufactured by the Kharkiv Kommunar company, which also makes the GCS Ukrainian-Russian Zenit. Russia may have residual capability to make some GCS sets in Moscow at the Academician Pilyugin Centre, which developed them, but the production rate in such case cannot match even the bare-bone needs of the Russian military. Ukrainian-built and designed Zenit operates from the SeaLaunch floating platform, which is an engineering marvel and commercial disaster simultaneously. SeaLaunch is a subsidiary of the Russian flagship space company RSC Energya. The ownership of this corporation is not completely disclosed, but its 11-member Board has 3 members from the Leader management company. This company has Rossija-Bank as its biggest shareholder. Rossija-Bank was exposed to the Western sanctions, as the cornerstone of the financial operations of the close circle of Vladimir Putin. This means that the close circle of Vladimir Putin to some extent depends on the smooth supply of the key components from Ukraine. On the side of the nuclear power generation Russia's dependency on Ukraine is not less critical. Currently Russia prides itself with the fact that 17% of the worlds nuclear power is generated by Russian-made reactors, mostly the VVER-1000. 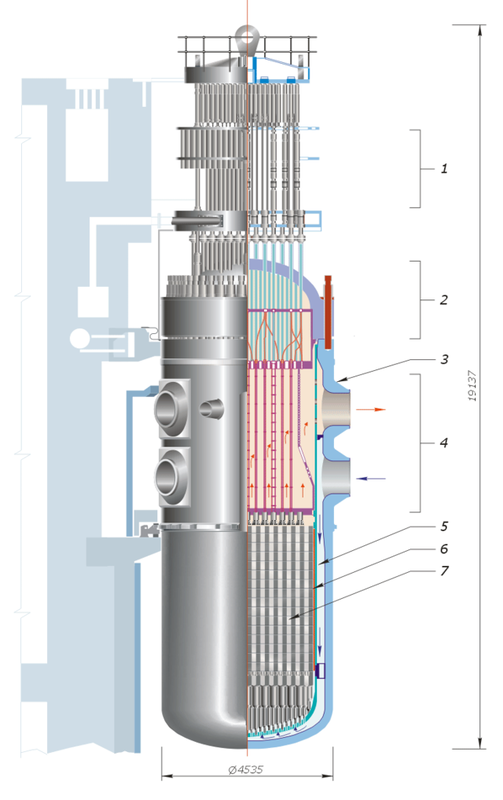 At the same time the Russian nuclear power plants (NPP) which use the VVER-1000 also rely on the K-1000-60 turbine, which is built by the Ukrainian Turboatom in Kharkiv. Russia is capable to build turbines for power generation, but its own production capabilities are insufficient for serving the market, and the VVER-1000 units would have to be redesigned. Furthermore, Russian nuclear power generation faces imminent threat from Ukraine's program of cooperation with Westinghouse. Under the auspices of this program Westinghouse developed its own version of the fuel rods for VVER reactors. The testing of these rods was completed at a South Ukrainian NPP, and the first experimental stock of Westinghouse rods were delivered to Ukraine in 2014. The successful operation of these rods means that starting 2015-2016 the procurement of the fuel rods to 10 Ukrainian VVER-1000 can be lost for Russia AND Westinghouse will be perfectly positioned to compete with Russian nuclear fuel concern TVEL for fuel supply to another 8-12 reactors in Bulgaria, Iran, China, Czech republic, and India. Westinghouse also established JV Westron with Ukrainian Khartron electronics company. Westron offers control systems for NPPs, and already challenges Russian dominance in the control of the VVER-1000 segment of the nuclear power generation World-wide. All these expected developments are disturbing for the Russian nuclear power sector, and are far beyond the point where they could be addressed using just commercial instruments. Practically half of the Russia's nuclear fuel market will face a probable takeover by Westinghouse, plus Russia critically depends on Ukrainian materials. It has no time to develop the replacement capabilities for Ukrainian zirconium components, and doesn't have sufficient supply of Uranium. Under such conditions the only way for Russia to secure stability of its nuclear power sector is to use military and/or political instruments to guarantee continued supply of Ukrainian materials and to prevent expansion of Westinghouse in Ukraine, and internationally within the “Russian” 17% of the nuclear power sector. Naturally, this applies only if Russia don't want to cooperate with Ukraine in a good faith and as equal partner. Unfortunately such cooperation contradicts its imperial agenda. In total there are 250-280 Ukrainian companies which are suppliers for the Russian defenses and aerospace enterprises. Among these the most important are as follows. In particular, Kyiv Artem factory is the manufacturer of the P-27 (АА-10 Alamo) air-to-air missiles, which are used by the Russian fighters Su-27, -33, and -34, MiG-29, and new bomber Su-35. Russia has no production of these missiles. The seeker heads for the operational Russian air-based missiles were manufactured by one of the oldest defense companies in ex-USSR (since 1764), Kyiv Arsenal. The interdependence in the field of transport and commercial aviation between Russia and Ukraine is particularly close. Ukrainian-designed super heavy cargo transporters An-124 were built in Russia, and still uses Ukrainian-made engines. The restoration of the production of An-124 is one of the key elements of the Russian 2020 defense program, while technical documentation, design documents, know-how and engines are all Ukrainian. The newest regional jet An-148 is manufactured in parallel in Russia and in Ukraine, also with reliance on Ukrainian documentation and power plant. Russia also developed the regional jet Sukhoi Super Jet Su-100. One of the key elements of the Super Jet design was the requirement to build the airplane which will not be using Ukrainian components. Following several years of efforts Sukhoi ended up buying the replacement components and systems from the West. According to Russian estimates, the cost of the imported components now is ~55% of the cost of the airplane; this ratio is a good yardstick to measure the degree of dependence of the Russian aviation industry on Ukrainian supply. The design and production of the turboprop, turbofan, turboprop fan, and turbo shaft engines for Russian IL-38; Be-12, -132, -200; Tu-334; and all Antonov airplanes (including An-124 and An-225 giant cargo transporters) which are operated by Russia is concentrated at Zaporizhya Motor-Sich company. Importantly, it also manufactures engines for all Russian helicopters, military and civilian, including the newest Mi-28H and Ka-51- and -52. Russia regularly states that it is about to break its dependence from Motor-Sich in two years, repeating this mantra since 1993. Additionally, Motor-Sich makes gas power drivers for gas pumping turbines for Russian gas pipelines, gas preparation facilities, gas pumping units, and wind power turbines. Another critical turbine designer and manufacturer is Mykolaiv Zarya-Mashproekt, which makes gas turbines for navy vessels (up to 6.000 deadweight destroyers), and retained the ability to build gas turbine engines for cruisers. It also manufactures power plant for Russian landing hovercrafts Zubr, and for hydrofoil vessels. Russia plans to replace import of the navy turbines from Ukraine by 2018, but it is yet to be seen how it will manage to do so under the international sanctions. So far the new series of Russian frigates Project 22350, which are built by Kalinungrad Yantar shipyard rely on procurement of gas turbines from Mykolaiv, and prospective designs of the Russian navy vessels account for the possibility of using Ukrainian gas turbines. Zarya is also the leading supplier of the compressors for the Russian gas pipelines. Dependence of the Russian navy on Ukrainian components also includes supply of gyroscope based control and navigation systems for main operational types of Russian torpedoes, and navigation equipment for Russian submarines; these are made in Kyiv at Petrovsky Automation Plant. Russia's own production of gyroscopes was mostly lost during the 90s. Russian manufacturer of the subsea weapons Dvigatel from St. Petersburg is the main customer of the Petrovsky's production; in 2013 81% of the company's revenue came from export to Russia. It has to be noted also that Russian imperial ambitions require it to rebuild blue-water navy, which was mostly lost during the 90s. Current Russian surface navy includes one aircraft carrier, one Kirov-class battlecruiser cruiser, 3 Slava class cruisers, and destroyers. The resources of the Russian navy are insufficient even to effectively control the entirety of the Russian economic zone. As Russian oil and gas production moves north and east due to exhaustion of the developed deposits Russia also need to grow its tanker fleet, building ice-class tankers and icebreakers. Combined needs of the Russian oil and gas industry, and of the Russian navy, especially for the large dead-weight vessels by far exceed the capacity of the Russian shipyards. Situation is so pressing that Russia had to turn to buying the amphibious assault ships from France, for the first time in a hundred years. The root of the problem is that the Soviet shipyards which have built aircraft carriers, Slava-class cruisers, and number of other blue water navy vessels were located in Ukrainian Mykolayiv, Kherson, and in Crimea. Russia needs to use the capacity of Ukrainian shipyards if it wants to restore its blue water navy. There are also scattered numerous suppliers of small, but mission-critical and sophisticated components for the most advanced machinery products of Russia; for instance the Snizhne Turbine Blades factory (on the occupied territory) holds monopoly position in supply of turbine blades for aviation engines. Lviv Lorta company provides electronics service stations for Russian surface-to-air SAMs S-300. There are also selected enterprises which don't have defense and aerospace as the main field of cooperation with Russia. For instance, Sumy PJSC Sumy Frunze NPO is provider of the special pumping equipment for VVER reactors; pressure vessels, exchangers, and columns for chemical production; compressors for Russian oil and gas industry, etc. Kramatorsk (recently re-taken by Ukrainian side) NKMZ is unique for ex-USSR provider of heavy machinery for mining, metallurgy, ore processing, pipelines, and shipbuilding. Mariupol (re-taken by Ukrainian side in May of 2014) AZOVMASH is ex-USSR leading provider of the heavy steel-making equipment, heavy gantry cranes, containers for radioactive wastes, and variety of other heavy machinery. Russian corporation AVISMA controls 30% of the World titanium market, and works mainly for export. Consumers of the company are Boeing, EADS, Embraer, UTAS, Messier- Bugatti- Dowty, Rolls-Royce plc, Safran SA, Pratt & Whitney; in Russia – Sukhoi fighter manufacturer, and Perm Motors. Without titanium products of AVISMA Russian aerospace industry will come to a stand still, and the World aerospace will have problems as well. Meanwhile 100% of titanium ore comes to AVISMA from Irshansk and Volnogorsk mines in Ukraine. These mines were recently transferred under control of Ukrainian PRIVAT Group, which is controlled by Ukrainian billionaires Kolomoisky and Bogolubov. There is a politically-motivated criminal case in Russia against Kolomoisky; he has no reason to supply titanium ore to Russia, while being capable to find international customers. Scale of the disaster for the Russian defense industry, aerospace, shipbuilding and motors production following termination of Ukrainian ore supply is difficult to access. AVISMA claimed in September that they accumulated 8 months of reserves. Probably there are less, and countdown started in August. 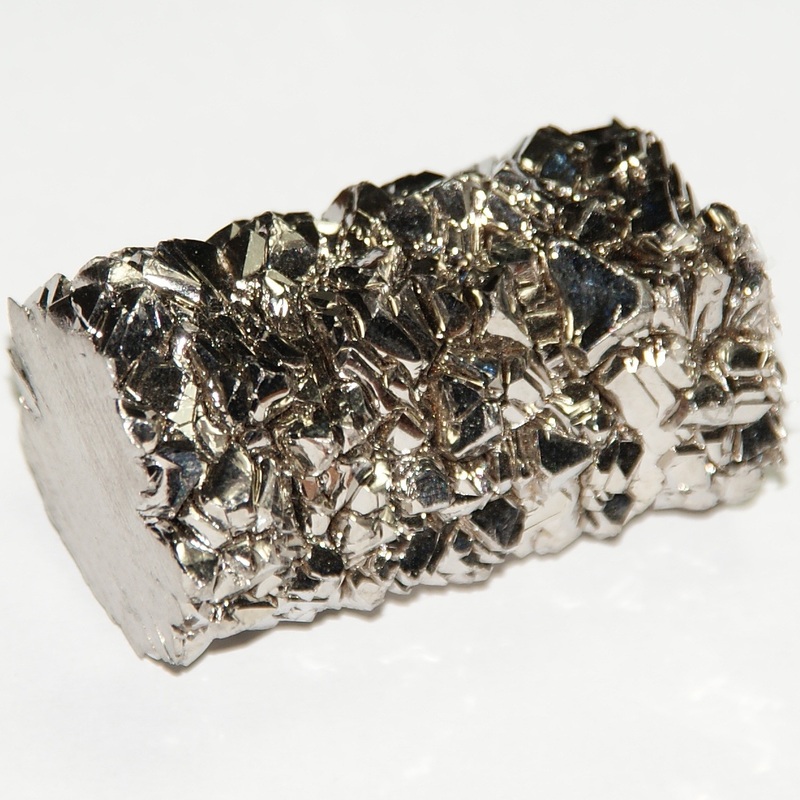 AVISMA can find ore elsewhere, but it will take time to adjust production, replace purification which is made in Ukraine, and the task will not be easy to accomplish, considering that AVISMA needs an increase of the World production of titanium ore by 50%. Accordingly 6-8 months since August 2014, is the natural time limit during which Russia must either restore normal relations with Ukraine, or put a pro-Russian government in Kyiv. Besides that Kolomoisky controls up to 30% of the World production of ferroalloy materials. Ferroalloys are a necessary doping component for production of quality steels. Russian metallurgy depends on Ukrainian ferroalloys, without which everything will crack, crush, and fall apart. Further upstream in the ferrous metallurgy, Ukrainian Dniprospecsteel metallurgy company is another source of critical import for Russia. This electric metallurgy company from Zaporizhya is monopoly supplier of the special steels for rocket and jet engines, instrumentation and bearing steel. Furthermore, zirconium components, as well as yellowcake for production of the fuel rods for VVER-1000 come from Ukraine. It is exported to Kazakhstan, where it is further enriched and tableted, and then goes to Russia for the fuel rod production by Russian TVEL. Kazakhstan's government-owned Kazatomprom holds a 10% stake in Westinghouse, and can be interested in the Westinghouse's expansion in the VVER-1000 market. Russia has no equivalent replacement for Ukrainian components, and has no developed deposits which can replace Ukrainian supply of uranium and zirconium for the needs of the nuclear industry. At the same time Ukraine holds Europe's biggest Uranium deposit in Novokonstanyinovka, and operates Zhovty Vody yellowcake refinery. 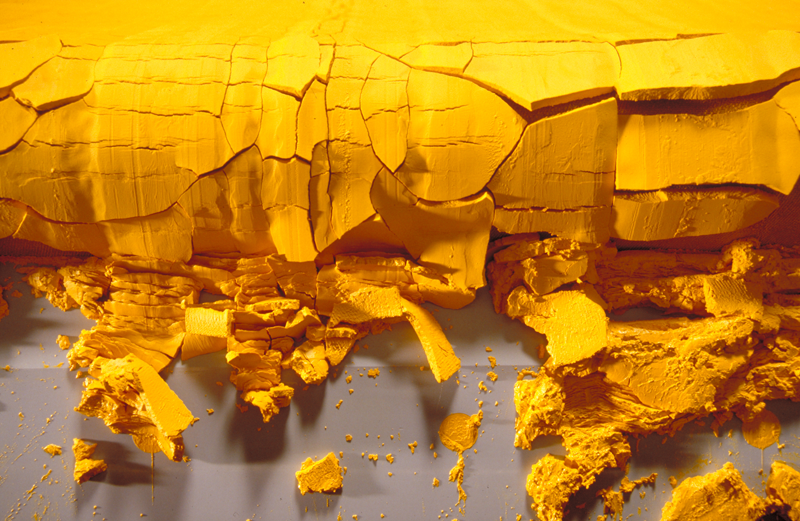 Russia's own Uranium deposits are limited (although it has considerable stockpile of HEU), and it will take it years to develop the production of sufficient amounts of yellowcake to support its nuclear industry. Similar considerations apply to zirconium metallurgy, which is also critical for nuclear port generation. Ukrainian Pridneprovsky Chemical Works (also near Dnipropetrovsk) was the Soviet provider of Uranium salts, and of the rare earth metals, including hafnium, and also zirconium, tungsten, gallium, and molybdenum. Their customers are mostly in Russia. The provided examples of the Ukrainian export to Russia does not constitute the main part of the final product's cost, and almost never are the only product which Ukrainian company makes. At the same time without these products whole branches of the Russian military-industrial complex and of the Russian energy sector cannot function. In many cases the Ukrainian side holds critical know-how for which it will be necessary to develop an alternative production. This means years of research and big capital investments to be able to replace some piece of hardware that comes from Ukraine. To grab the production in the neighboring country by force or by integration of this country in the super-state structure like Customs Union of Russia, Belarus, and Kazakhstan. Russia weighted the first option, and tried that for over twenty years; it did not work. Accordingly, Russia had to either abandon the imperial agenda, or to try to take over the needed assets. Russia obviously elected the takeover, after the attempt of integration of Ukraine in the Customs Union failed. This was not the only factor which defined Russia's decision to start the “hybrid war” in Ukraine, but was certainly among the important factors which Russia considered. The geographical location of the critical assets are Dnipropetrovsk, Kharkiv, Zaporizhya, Donetsk and Mykolaiv regions, with only four companies located further West. Mykolaiv and neighboring Kherson house four big shipyards (two other are in Crimea), which are the birthplace of the Soviet blue water navy. Lack of shipyard capacity in Russia, especially for the big deadweight vessels, is so critical that Russia had to turn to buying the landing assault vessels in France. These regions, together with Odessa (which is a major warm water port) and Lugansk form the imaginary Novorossiya state which Russia initially planned. The regions are mostly Russian-speaking, which gave Russia the reason to expect that Novorossiya will practically fall of from Ukraine after just a little “hybrid war” push. This was a miscalculation. The people in the targeted regions do mostly speak Russian, but most of them (over 80% now) consider themselves Ukrainian, as French-speaking Swiss are still Swiss, German-speaking Austrians are still Austrians, or English-speaking Irish are still Irish. The Novorossiya agenda failed everywhere except for eastern part of Crimea, Donetsk and Lugansk regions, where the majority of locals associate themselves with Russian or Soviet cultural tradition. As the result of this miscalculation of the factors of public support, Russia found itself in a dire situation. The “imperial project” failed; it had destroyed its relations with the supplier of the critical components for its defense and aerospace, and has now to make big investments in development of the national production capabilities. Meanwhile it is exposed to the international sanctions, its finances are in disarray, and the main source of the budget revenues is drying out because of the decline of the oil prices. These factors are relatively slow-acting, but can cripple Russian military power and nuclear sector in 2-3 years, pushing it deeper in the ranks of the resource-based economies with no prospective of becoming a modern state. Yana Korobko, Mahmoud N. Musa. The Shifting Global Balance of Power: Perils of a World War and Preventive Measures, 2014, USA. 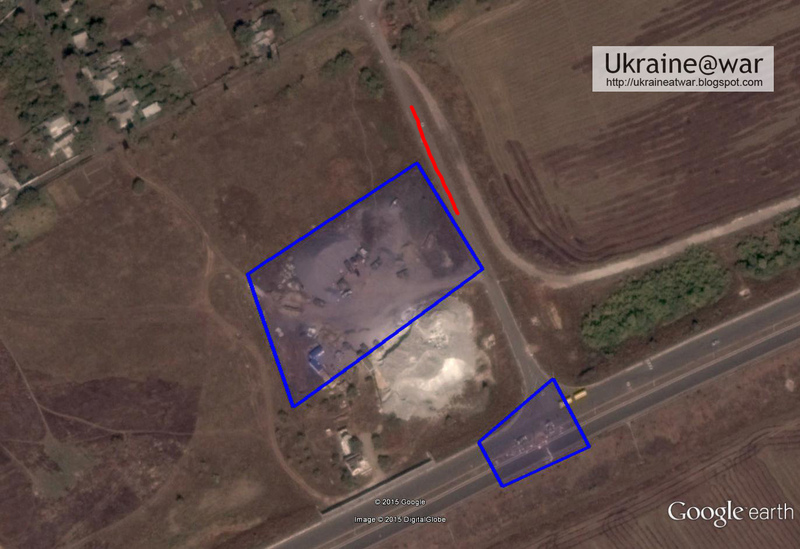 A. Zhalko-Tytarenko, Ukraine at a Divergence Point Diplomatic Courier, November 27, 2013. 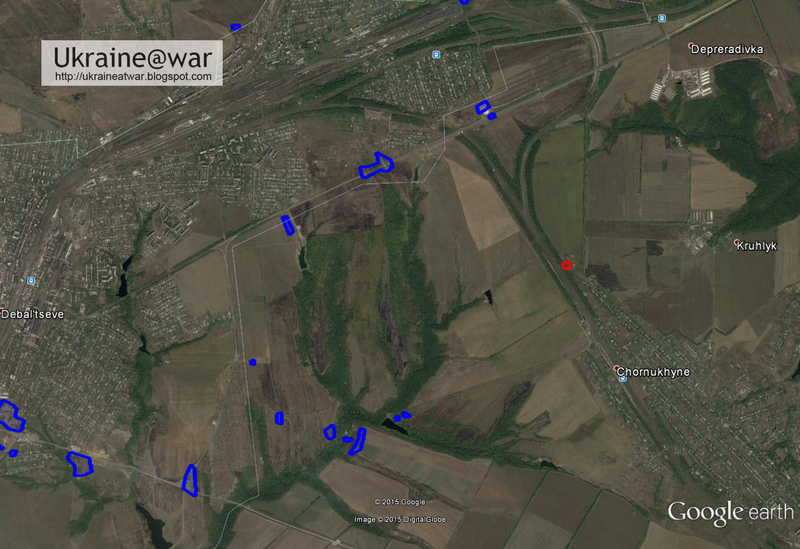 Skynews had bought 'exclusive footage' of ongoing battle near Debaltseve. See their article (with video). The video is recorded on February 17th (or maybe on the 16th). Note that ONLY the Russians are firing. Nobody ever shoots back and there are no impacts, nor is there any danger for anybody out there. This is standard procedure when press from Russia's main channels are involved. 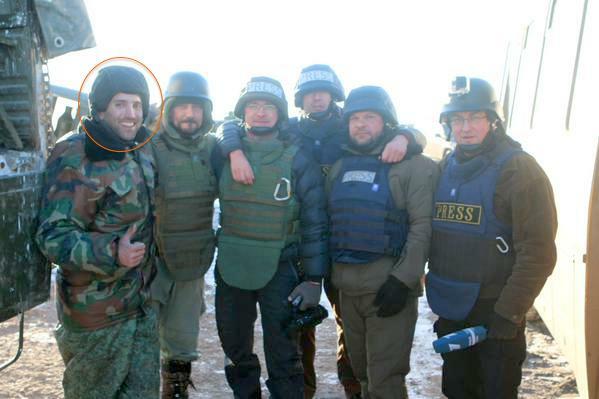 These journalists will not risk REAL front line battle (since several already died doing that, such as Andrei Stenin). When you see these guys, 'battle' is almost always staged for the occasion. This is the location where this video (as well as others) is shot. 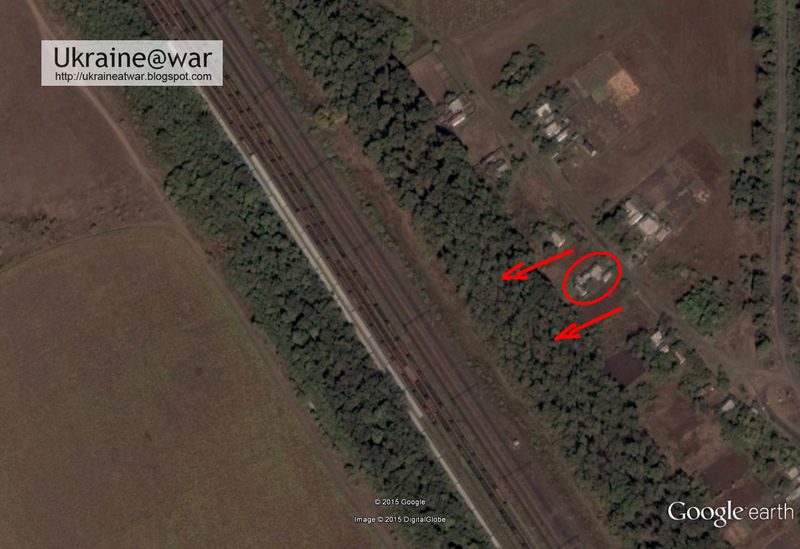 It is in Chornukhyne and that part is already in Russian control since February 4th! As you can see, these are trees, railways, wagons and trees again. You can see he is aiming AT THE TREES which are only 20 meters away from this position. The cameraman is so stupid to stand RIGHT BEHIND HIM! That was the most dangerous moment in the whole footage! Ok, that was another most dangerous moment!!! They don't show what's going on. This video from Graham Phillips DOES! And seems to be a REAL wounded soldier. He already has bandages and comes from the other end of the street (NOT from the location where the 'fighting' and filming is). The guy has tears in his eyes. That seems real! Exactly the same problem here: nobody shoots back. No impacts, no danger, only Rambo-style shooting into empty space. 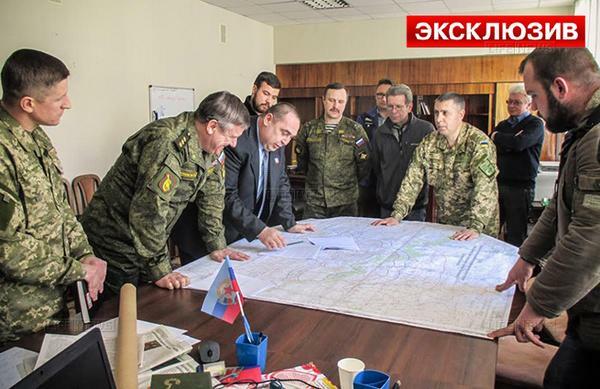 Ok, so what is Colonel Vitaly Kiselev, 'Deputy Commander of LNRs Ministry of Defense' doing here? 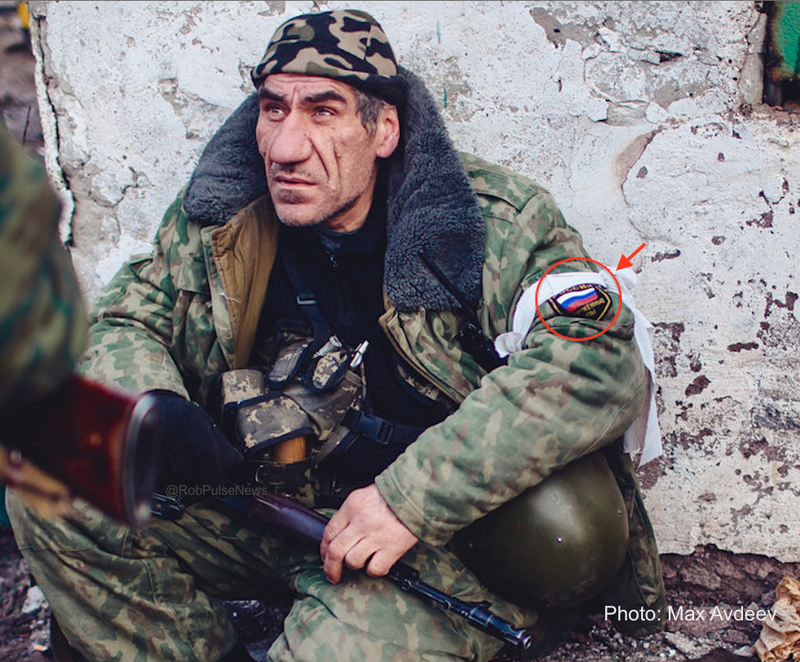 He is at the FRONT LINE rescuing Ukrainian POWs while under attack? Yeah right! He would be a very brave AND stupid man then! Well he is NOT, of course. This is a (relatively) safe zone. He is just commenting the reality show they are staging here for the viewers at home. 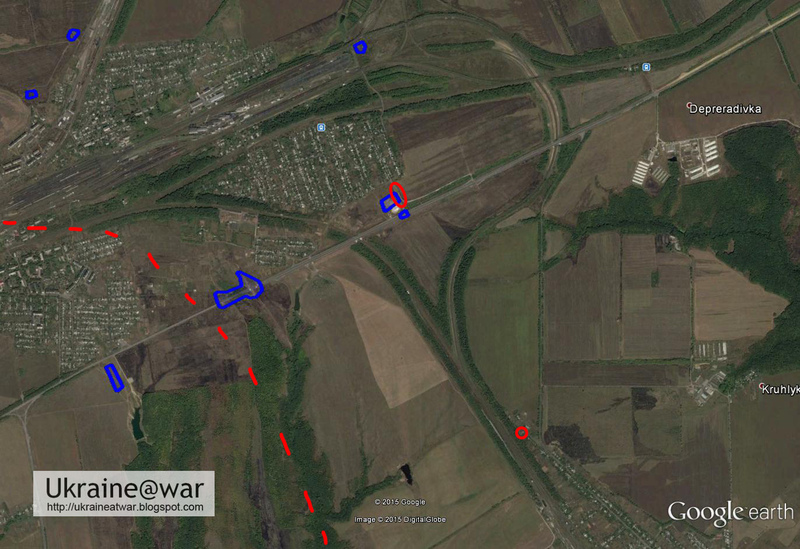 He goes on: "They know POWs are being evacuated and they are trying to attack them now. Their friendlies. We are providing covering fire so they won't be able to shoot them. We are taking them out and evacuating them from here right away. They have no chance, they all are surrounded as well. 24 men." Look at the map again. How are they surrounded with an open field of 1,5 kms in front of them and at whom are they shooting then if they are surrounded? It makes no sense. This is a propaganda nonsense story. He is standing upright on the middle of a road before an open field and hip-fires a heavy machine gun. This happens in movies, not on the battle field when you get fired at. And that's what this is: a movie! including disguised general Lentsov (or his twin brother FSB colonel Nurulin Nail; whatever version you want to believe). This seems real. He really does not know what car to go to. These things are NOT scripted (take 1; take 2; take 3 etc.). Everything is filmed AS IT HAPPENS. From the Skynews-video we know he got out of the cellar where they 'kept them'. And thus we also understand NOBODY WAS SHOOTING AT THEM (at least if they did not walk behind a firing RPG or in front of one of their own while shooting!). You can see the Russian press is here (left guy) and the 'white guy' is just standing there as a dummy. In another video he had also been Rambo-shooting a machine gun, but obviously he ran out of ammo now. How many guys did they put in that cellar? 24? Now THAT is the normal treatment POWs get. They ALWAYS have beaten up faces. So this guy looks very real too. 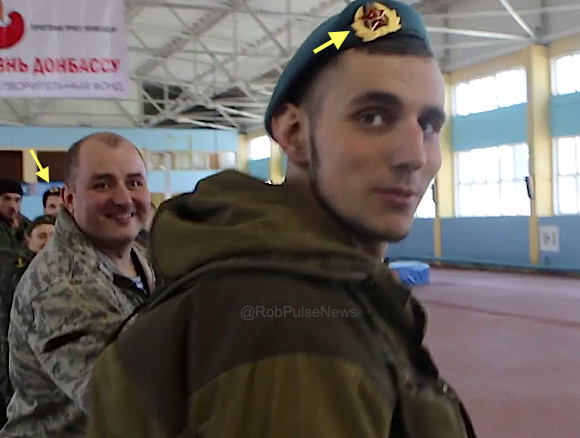 This video is from Rossiya 1 recorded at the same event. When you freely walk around like that, it means the front line must be far away enough. 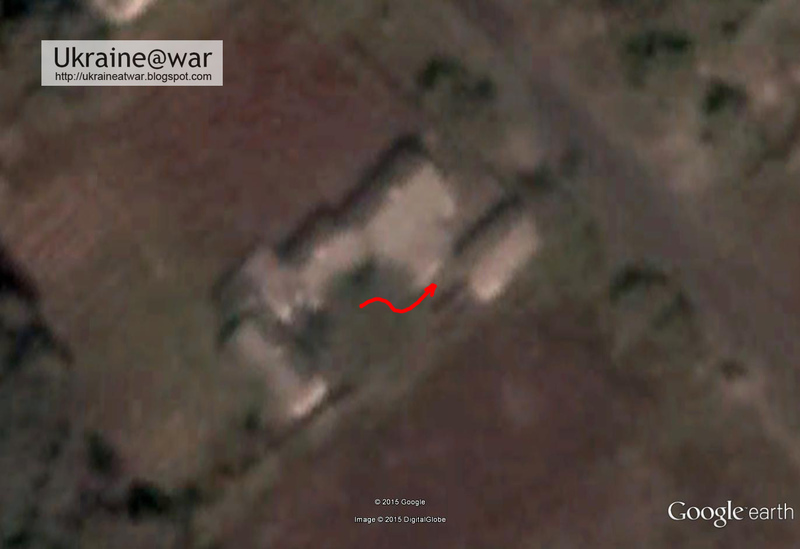 It may have been somewhere like the dotted red line at least (if not even further into Debaltseve). Again... Graham and many other journos are here and filming all extensively. As I stated earlier, this is a very unusual situation. The POWs are treated way too nice compared to other torture and public humiliations we have seen before. 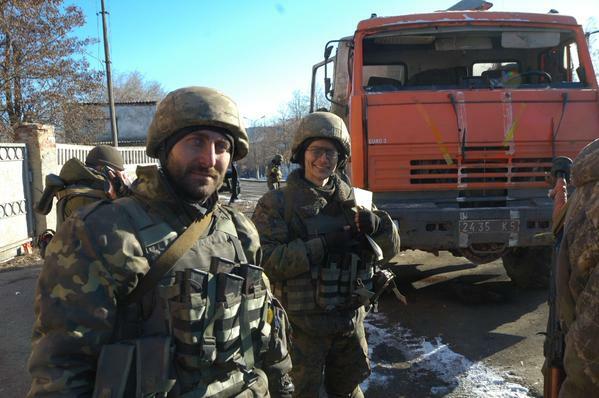 But he does NOT have Ukrainian markings, NOR looks battle fatigued, NOR is beaten up. He looks VERY clean, IS disturbed and is reluctant to talk. The fighting in the videos is staged and for effect in the videos only. They shoot rambo-style at trees, wagons and into empty space. The location where they film is a safe zone. Lot's of media is there including high ranked officers. A real wounded soldier is brought there to get treatment and being taken away. There seem to be some real 'POWs' there. Real fear, real reluctance to talk, real I-ended-up-in-a-bad-situation-looks on their faces. Most of the 'POWs' are treated too well. Allowed to carry their bags. Don't have beaten up faces. They seem to carry 2 real dead comrades. 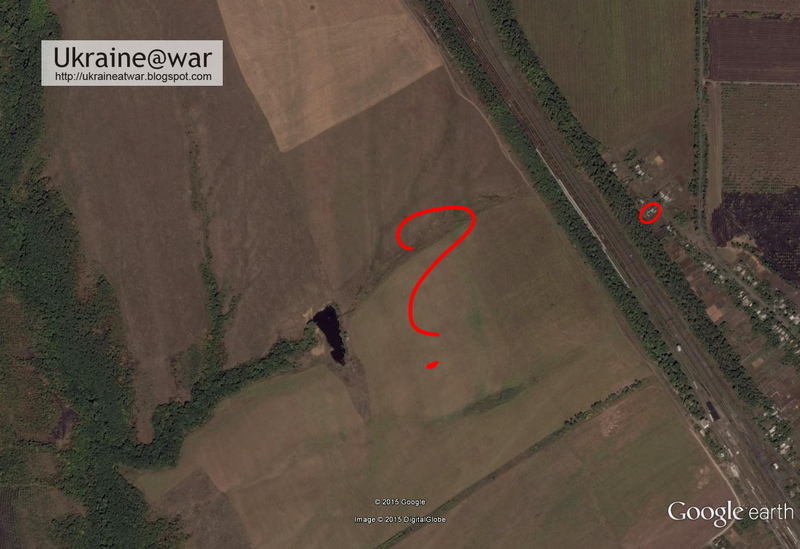 The 'POWs' from location 1 can not be matched with those from location 2. They seem to be different groups. 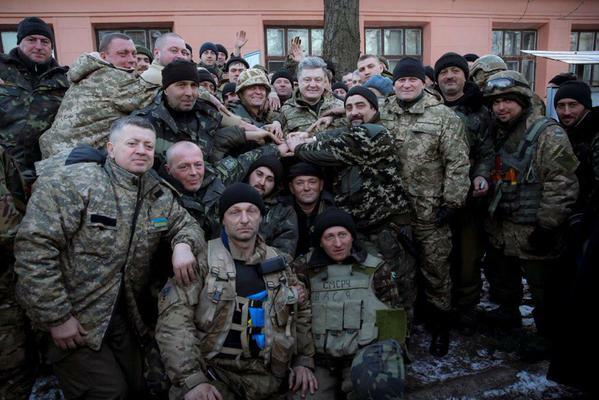 They do not look like Ukrainian soldiers. 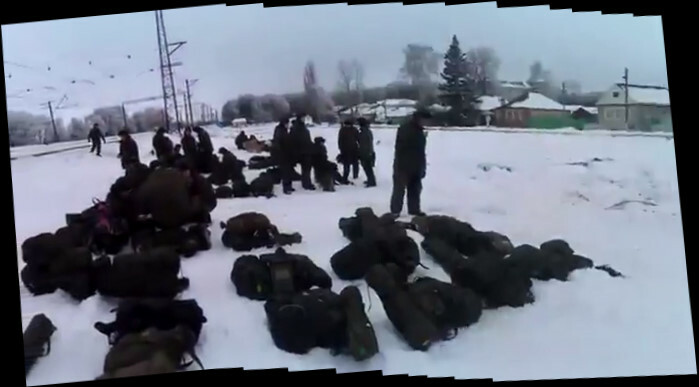 These are fresh batches of RUSSIAN INMATES who got 'amnesty' in exchange for fighting as a soldier and thus send to the front line. To understand what I am saying, you HAVE to read this blog. As explained there, the hazing of Russian soldiers is really brutal. What do you think the hazing of Russian inmates will look like? Then they are told to run and 'get in the bus'... well you get the picture. It is possible that two of the second batch were really shot dead as an example. Maybe those where loud-mouths. Maybe those where disobedient and a 'decree' had been issues to execute them as happened in this example. 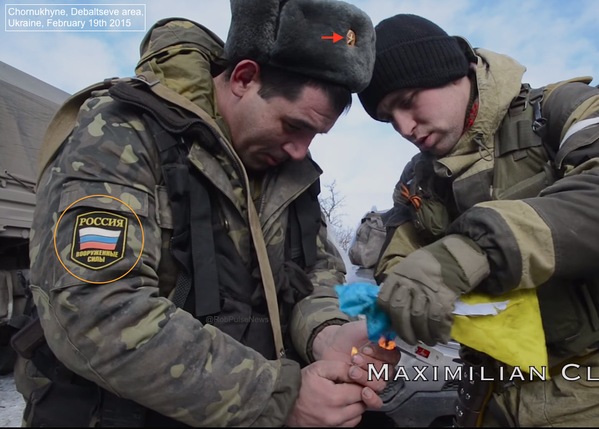 Meanwhile all this is filmed AS IF these are Ukrainian POWs. And the event is used for propaganda. If Skynews paid for this footage, they paid for a horrible fake and they are supporting terrorists. These are real Ukrainian POWs used in a staged propaganda setting. 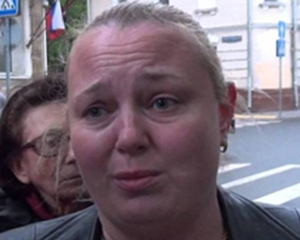 Russian media decided to have a charm-offensive after all publicity about how bad they treat them. Now they show the world how nice they actually are to POWs. They forced real Ukrainian POWs to act in a staged setting. Well... it IS possible of course, but I do not believe this. 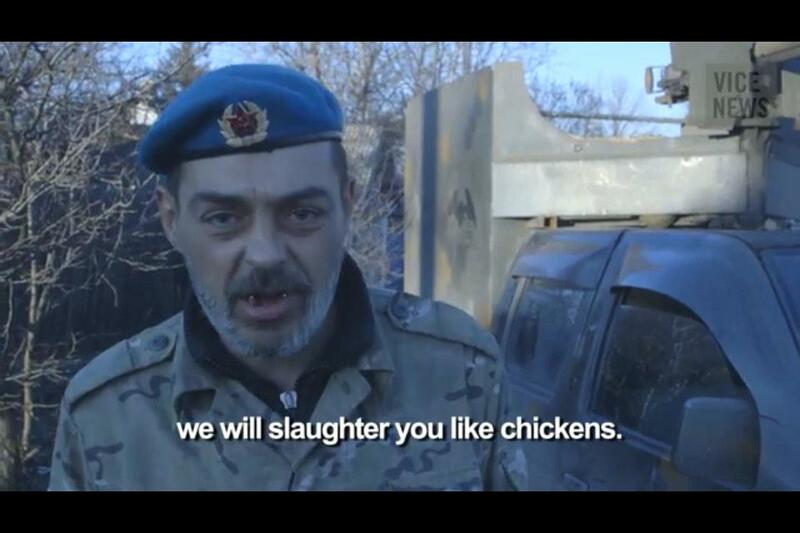 Russians treat Ukrainian POWs like dogs. They humiliate them, beat them up really bad, throw them on their knees, let them bleed to death, torture them, execute them, parade them through the city while getting kicked. That habit is not all of a sudden changed with one of their largest victories after Minsk I. But their own zombie-inmate-army... they can treat them bad too, but not TOO bad, because they still need them to fight for them as cannon fodder for their next offensive.